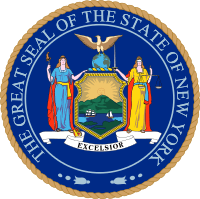 Robert Ferdinand Wagner I (June 8, 1877 – May 4, 1953) was an American politician. He was a Democratic U.S. 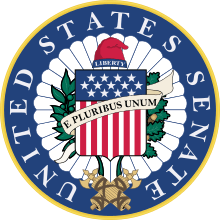 Senator from New York from 1927 to 1949. Working closely in the state legislature with fellow New York City Democrat Al Smith, Wagner embraced reform in the 1910s and 1920s, especially to the benefit of their core constituency, the working class. They built a coalition for these reforms that embraced unions, social workers, some businessmen, and numerous middle-class activists and civic reform organizations across the state. As Senator, Wagner was a leader of the New Deal Coalition putting special emphasis on supporting the labor movement. He sponsored three major laws: the National Labor Relations Act of 1935, the Social Security Act of 1935, and the Public Housing Act of 1937. His son, Robert F. Wagner, Jr. was mayor of New York from 1954 through 1965. 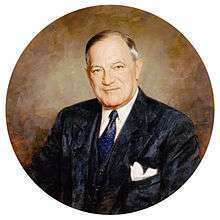 His son, Robert F. Wagner, Jr., was Mayor of New York City from 1954 to 1965. On September 14, 2004, a portrait of Wagner, along with one of Senator Arthur H. Vandenberg, was unveiled in the Senate Reception Room. The new portraits joined a group of distinguished former Senators, including Henry Clay, Daniel Webster, John C. Calhoun, Robert M. La Follette, Sr., and Robert A. Taft. Portraits of this group of Senators, known as the "Famous Five", were unveiled on March 12, 1959. ↑ "Triangle Shirtwaist Factory Fire (1911)". New York Times. March 11, 2011. ↑ Zernike, Kate (December 14, 2006). "Stricken Senate Democrat Undergoes Surgery". New York Times. Retrieved 2012-02-26. ↑ Hachey, Thomas E. (Winter 1973–1974). "American Profiles on Capitol Hill: A Confidential Study for the British Foreign Office in 1943" (PDF). Wisconsin Magazine of History. 57 (2): 141–153. JSTOR 4634869. Archived from the original (PDF) on October 21, 2013. ↑ "U.S. Department of Labor - Labor Hall of Fame - Robert F. Wagner". Retrieved 2012-02-26.